I hope you have enjoyed your pre-Halloween festivities and show this year's trick-or-treaters a good time. November is right around corner so let me go ahead and introduce November's Birthstone. Citrine is the traditional birthstone of November and one of my favorite stones. Special Fun Fact: Citrine is an alternate Zodiac stone for Scorpio and the gemstone gift for 13th and 17th anniversaries. 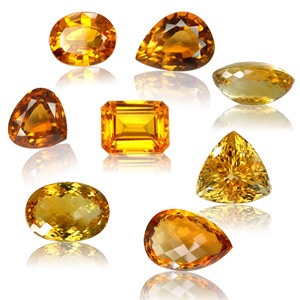 Citrine is also associated with values of hope, cheerfulness, youth, health, and fidelity. Expect to see November's Birthstone Necklace in the Etsy shop very soon! Have a wonderful Hallow's Eve everyone!